It’s that time! So, I’m running a little behind, but you know how much we love our homeschool morning basket around here! 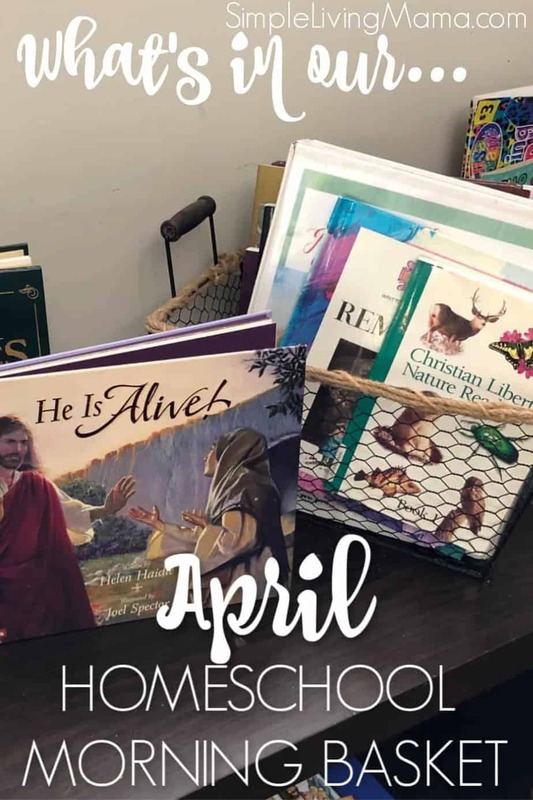 I’m excited to share our April homeschool morning basket with you. It’s a fun one, full of Easter goodies, plus some books that line up with our geography and science studies! Let’s jump into it! 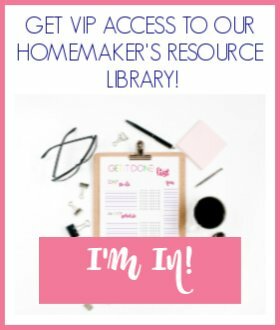 So, as always, we will start with our homeschool morning time binder. We are still using The Homeschool Garden, and we are on the Resurrection session. I can’t explain how easy The Homeschool Garden makes our morning time! I absolutely love it! 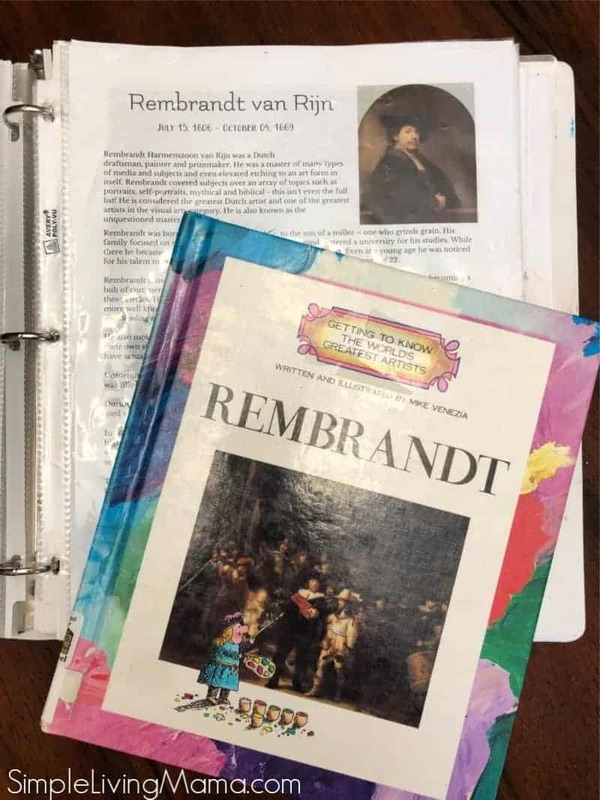 Our artist is Rembrandt, our composer is Clementi, our hymn is “Nothing But the Blood,” and our song is “Tis a Gift.” We have also really enjoyed reading “The Lady of Shallot.” It’s one of my very favorite poems of all time. We are studying metamorphosis both during our nature study, and during our insect unit study so the butterfly nature cards fit with our study just perfectly! 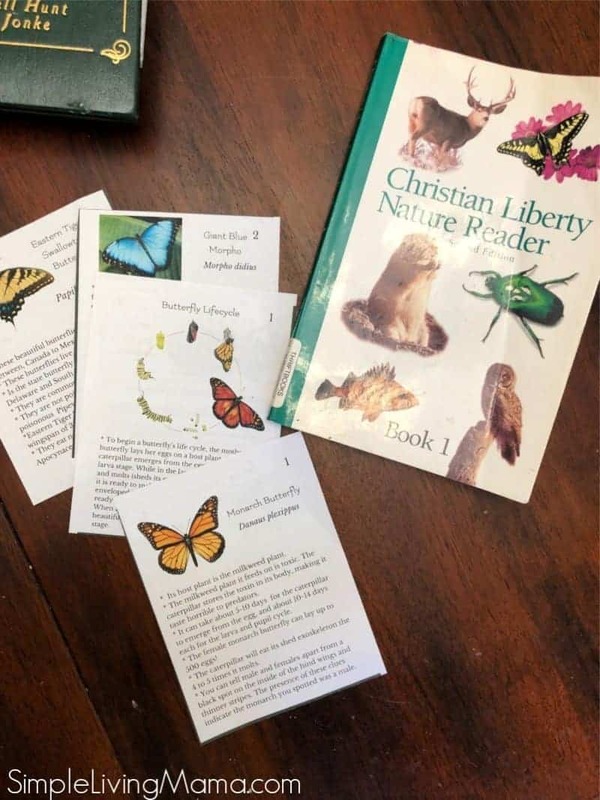 I’ve added in the Christian Liberty Nature Reader Book 1 to our studies. Our butterfly study has been one of my favorites by far! 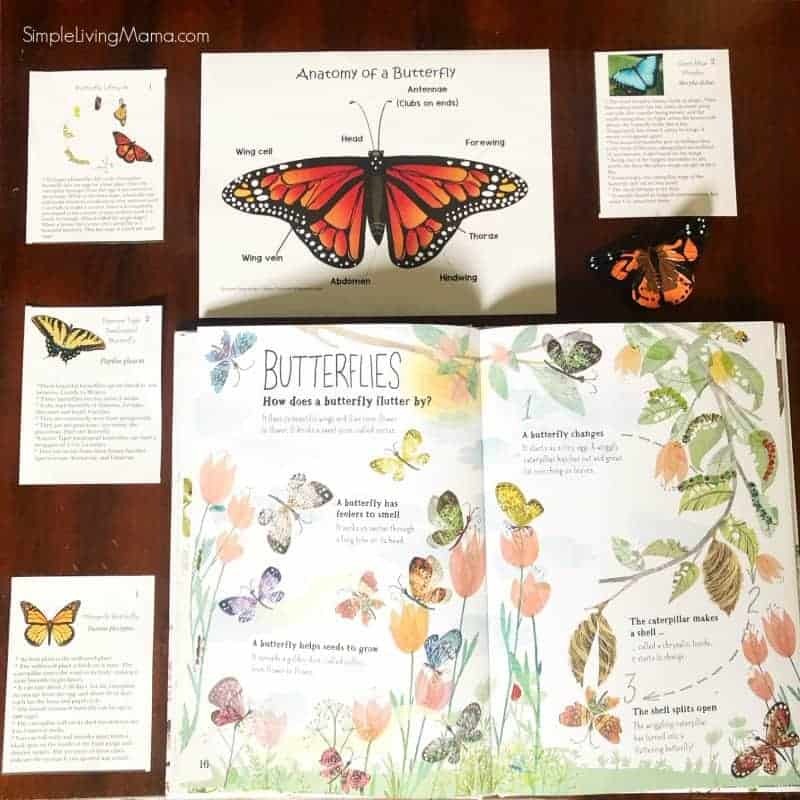 You can see a little more detail of what we studied and snag some butterfly life cycle printables in this post! I absolutely love that The Homeschool Garden includes two planned teatimes. 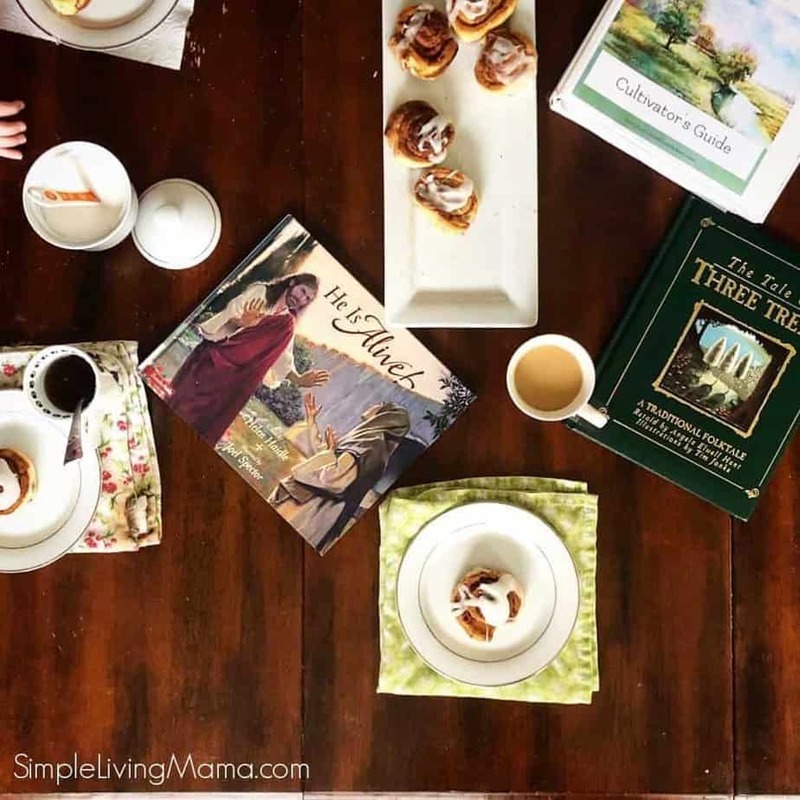 We did our first teatime already, and read “The Tale of Three Trees.” It was such a wonderful story for the Easter season! 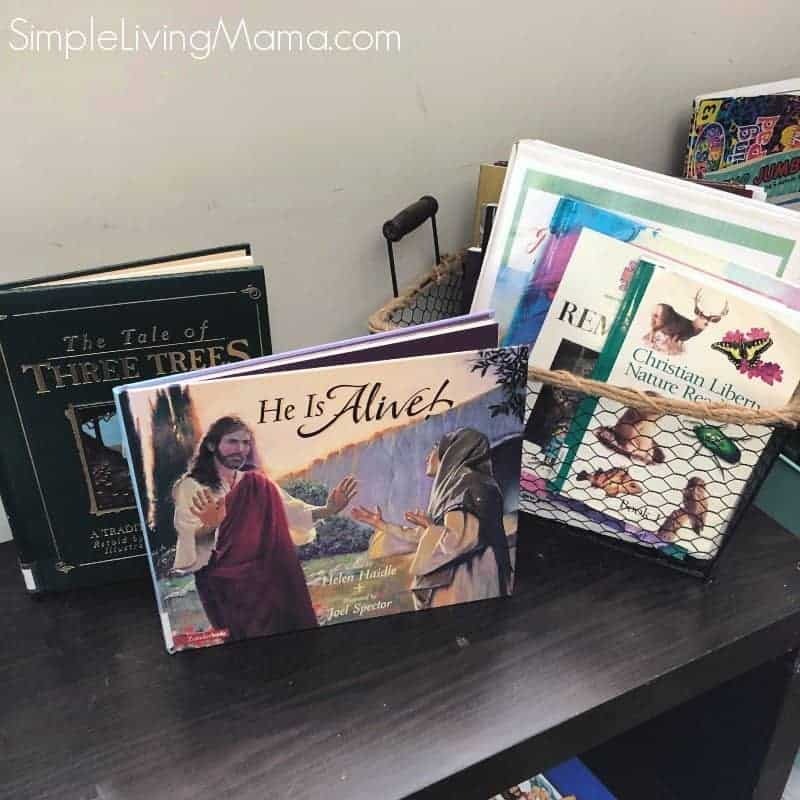 I also checked out this book, “He is Alive,” from the library to read during teatime. 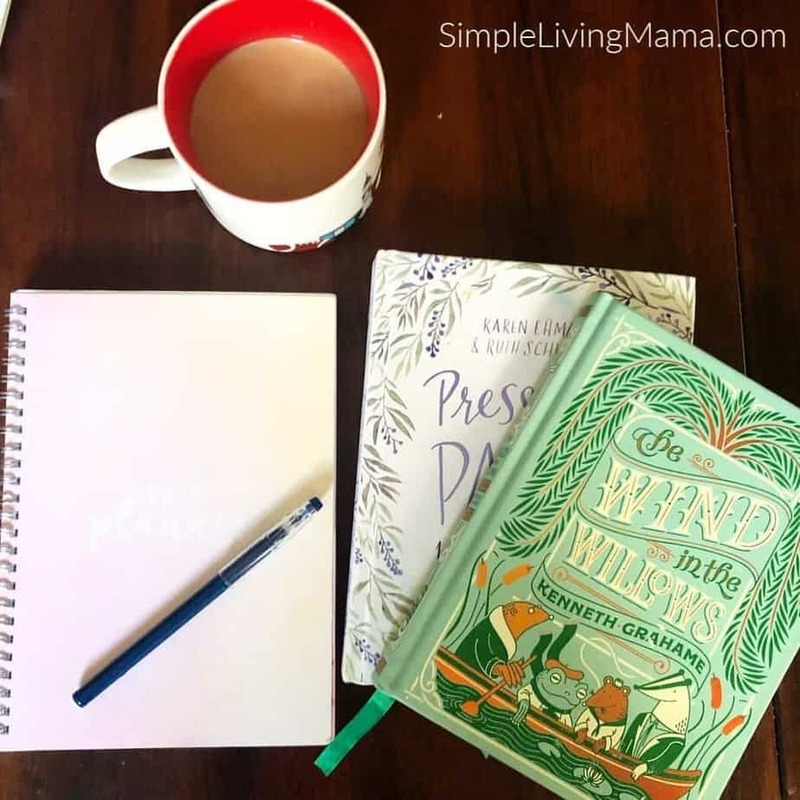 Finally, our main read-aloud this month is The Wind in the Willows. We are also finishing up the missionary biography of Amy Carmichael. It’s been a really great story! I hope you have enjoyed seeing what’s in our morning basket this month. 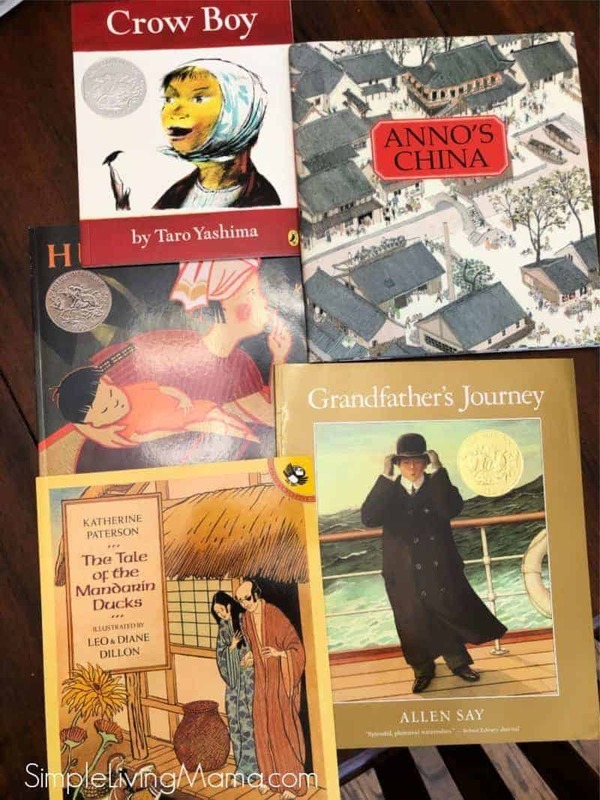 I use these items with my children who are ages kindergarten to fourth grade. 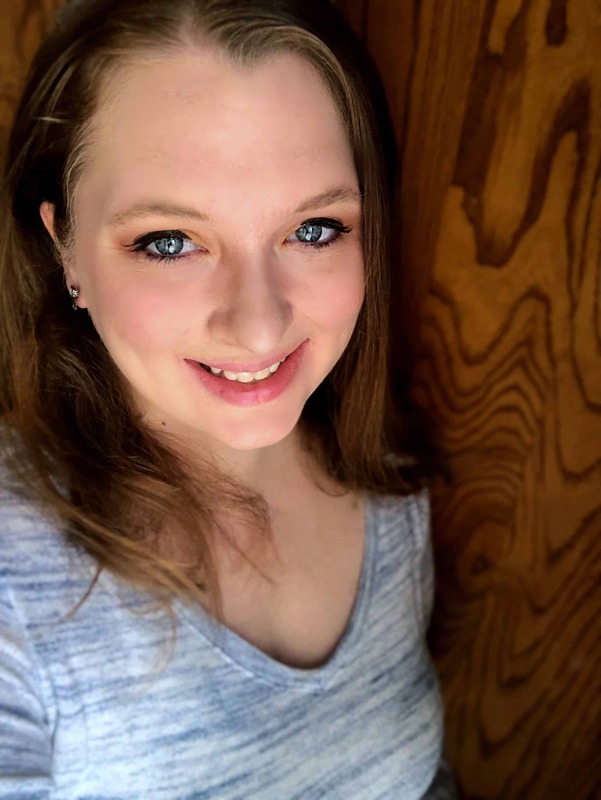 I typically pull in coloring sheets and do-a-dot sheets for my preschoolers, and I read with them and do activities with them in the afternoon!